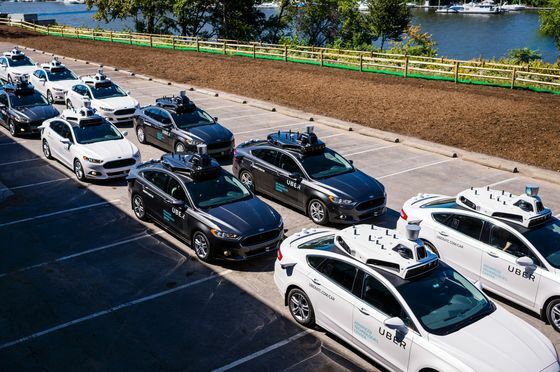 (Bloomberg) -- Uber Technologies Inc. has spent more than $1 billion on autonomous vehicle technology to compete with giants such as Alphabet Inc., Apple Inc. and General Motors Co. The company listed Waymo, Cruise, Tesla Inc. and Apple, among others, as competitors in self-driving. Uber warned investors about the potential impact to a key part of its existing business: "our autonomous vehicle strategy [may] add to Driver dissatisfaction over time, as it may reduce the need for Drivers."